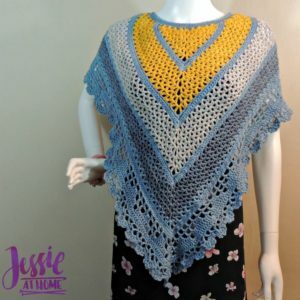 Here is a very pretty shawl that is perfect to keep the chill off. The shawl is versitile and delicate with the detailed pattern but easy to follow. You can change up the colors to match your needs and style while still showing off the great edging and hook work!